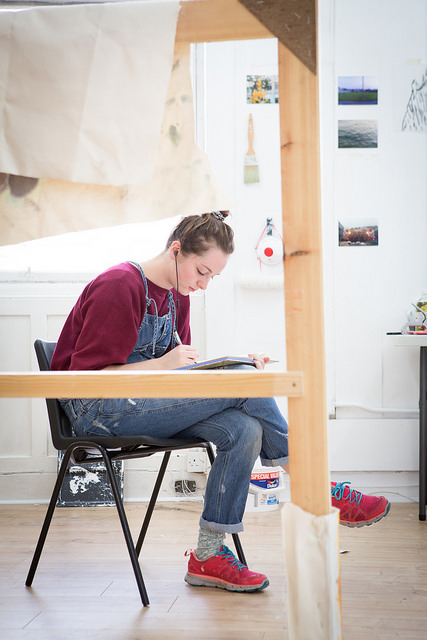 Education at GSA is studio practice-based, and so a large proportion of your writing assignments for your degree will be writing about your practice, as part of the assessment of your studio work. When writing about your work in artist’s statements, reflective journals, and so on, you will use the first-person ‘I’. You may also write about your work in some assignments for FoCI and HAUS; again, here you will use ‘I’. In writing for both studio and FoCI/HAUS, you may find that personal experiences and emotions are relevant to your work and thus you want to write about them. Here it is important to be careful: reflective writing for studio is not a private journal, and overly emotional content can be alienating to the reader. The main aim of academic writing is to build on and be built on, so when you write about your work, ask yourself how your writing shows engagement with other sources and communicates something to others that could be used to develop their own work and practice. Academic writing should demonstrate critical thinking, and it is important to apply critical analysis to your own work when writing about it for assessment in higher education. The more personal your writing, the more difficult it is to engage with critically.